Seamless aluminium shell snares are expensive, rare and have a distinctive sound, but this model is routinely overlooked. This one doesn't have the plates inside the shell behind the lugs and there is no evidence of removal, but I have seen this model with them fitted. 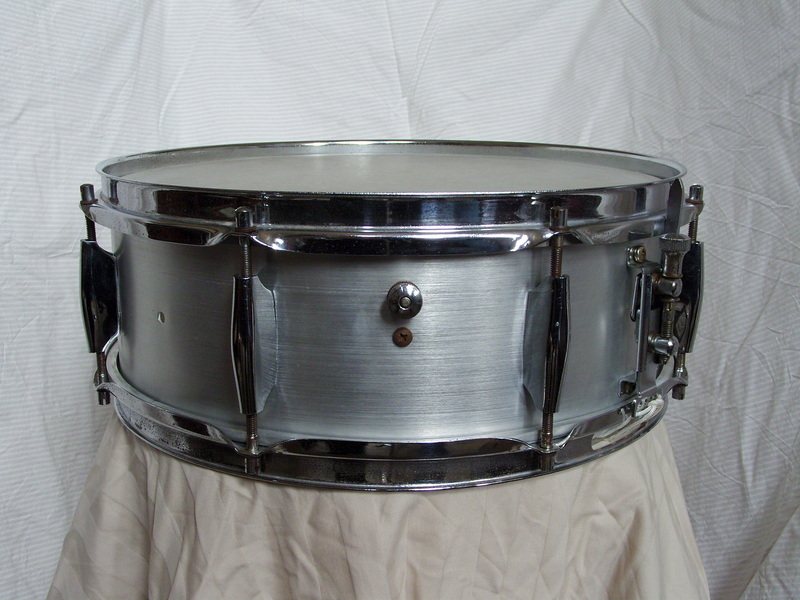 This drum is 100% original including heads, washers and snares and in magnificent condition. I even think the heads have never been off this drum.